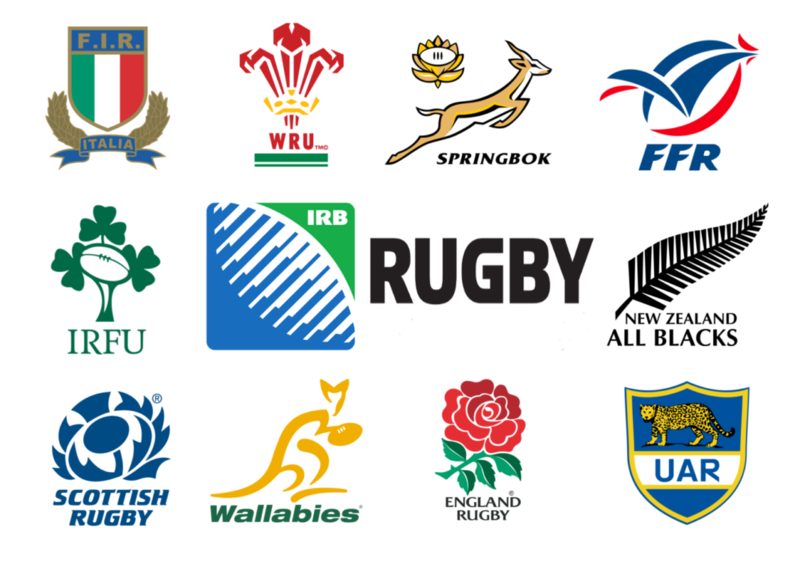 Watching All Blacks, Wallabies, and Springboks making slow or uncharacteristically silly decisions was evidence of brains that were no longer in the sharpest of focus. Seeing players clearly wilting later in the games, almost dragging themselves from one ruck to the next, walking with hands on hips, and giving up the chase when an opponent has broken the line heaped more evidence upon the already evident. When a player of Kurtley Beale’s class and stature starts to make truly amateurish mistakes with the ball in hand; when he seems unable to catch a pass or a kick, one might say he was having a bad day. But when he stops running on the cover defence simply because it looks as if a kick might be going out, it is even more evidence of fatigue. That is not the way he plays his rugby. When the All Blacks stutter and stumble to a win over Scotland, it might be evidence of Scotland’s improvement in the last 18 months, but it is also evidence of the fatigue in the All Black camp. Romania claimed an historic 17-13 victory over Samoa at Stadionul National Arcul De Triumf on Saturday. In a Test played in Windhoek in hot summery conditions, Uruguay won 53-26 against Namibia. I am not sure which marketing genius arranged a Test Match in late November in Windhoek, but they deserve to be put in an oven and roasted slowly. Nobody should be playing rugby in that heat. The United States of America secured a comprehensive 46-17 victory over Germany at Brita Arena, Wiesbaden. Japan earned a comprehensive 39-6 win over Tonga at Stade Ernest-Wallon in Toulouse on Saturday. This was a game where the rugby gods deserted Australia and took up position on the England goal line, doing everything they could to ensure that Australia would not win this game. If the ball was going to bounce, it would be away from the Wallaby chasing it. If the wind was going to blow, it would blow the rain into the eyes of the Aussies. If someone was offside, it would be that man in the gold jersey. If the ref was going to make a snap decision, it would be a 50/50 call that went against the Antipodean. It was not going to be Australia’s day, no matter what happened. Not that they helped their cause any. Ill-discipline cost the Wallabies dearly, probably costing them the game, in the final accounting. Michael Hooper might suggest that he was onside when he “scored” his try. It was very clear that he started his chase from an offside position, and he made no attempt whatsoever to get himself onside. He says he did get himself onside by running after the ball “slower” and “deliberately” hanging back until Koroibete had passed him to “put him back onside” – which is stuff and nonsense. If he had stopped, even for a nano-second, as he should have done, he could claim that he had made the necessary effort. If he had held his arms aloft until Koroibete had passed him he might even have a vague argument in his favour. But he did neither, he chased after the ball. Yes, Koroibete passed him, but that was because the winger was quicker than the flanker, period. Law 11.1.c is very clear. Sanction: When a player is penalised for being offside in general play, the opposing team chooses either a penalty kick at the place of infringement or a scrum at the place where the offending team last played the ball. If it was last played in that team’s in-goal, the scrum is formed 5 metres from the goal line in line with where it was played. Sorry Mr Hooper, but you should know the Laws and how they are applied. And they do apply to everyone, not just to your opponents. The yellow card given to Hooper in the 33rd minute for continual infringements by his team was also clearly correct. The Wallabies had been warned, and they persisted with offside play, including three decisions within one minute of playing time. It was poor discipline by the Aussies and they cannot complain about it. It was Michael Hooper’s 8th yellow card in a Test match. Seven minutes later Kurtley Beale also received a yellow for a clearly deliberate knock-on as he “intercepted” a pass intended for England flyer Jonny May. He protested that he was “going for the intercept” and I see some of the Aussie media suggest that he “almost caught the ball” with one hand, which would have been something of a rugby miracle – but video evidence suggests otherwise. You cannot catch the ball with one hand when that hand is moving downwards. Most of us would suggest that you were slapping the ball down. Turning to the “no try” scored by Marika Koroibete in the 69th minute. Watching the ball, I am sure that Koroibete grounded the ball, but it is what happened before that that caused the try to be disallowed. The replay clearly shows Koroibete charging into Stephen Moore, who was in front of him. This is immediately a case of Accidental Offside, and thus a scrum to England. In this instance Law 11.6.a applies. But that is not the end of it, as he spins out of the way, Moore certainly obstructs Chris Robshaw coming in to tackle Koroibete. Not enough to cause Robshaw to miss the tackle, but clearly enough for Robshaw to have to change the angle of his tackle, and that is the crucial moment. Robshaw was impeded from making the direct tackle that he intended. Whether such tackle could, or would, have prevented Koroibete from grounding the ball is neither here nor there. The fact is he was impeded from doing so, a clear obstruction in terms of the Law 10.1.c. No try, penalty against Moore. It was a 100% correct decision. Eliot Daly’s try, or no try, was just one of those calls. At first I thought the ball just barely scraped the minutest touch of the whitewash, just a molecule or two of the paint touching the ball. At the next angle, from in front and above, the ball seemed to miss those molecules of whitewash by a hair. If, as an impartial observer, I could not be 100% sure, I must accept the TMO and Referee decision. It was close, but no coconut. Michael Cheika was obviously upset at the close calls, resorting to calling someone, and it seems he meant the TMO, a “f**king cheat” on live television, an incident similar to the previous week when his compatriot and team mate from his playing days, Eddie Jones, was caught doing some toy throwing and profanity sharing by the same SkyTV camera. This incident might result in further action by World Rugby, but I would not hold my breath on that one. Cheika has got away with so many indiscretions and referee slating that he seems to be the Teflon Coach. One media report suggests that he also went and had words with Ben O’Keeffe, the referee, at halftime. I have not found any evidence backing up this report, but it would not be the first time that he has entered the Referee’s Change room to share his displeasure with the man who carries the whistle. At the end of a scrappy game where both sides flung everything at each other, it seemed as if the Wallaby simply ran out of steam. After Koroibete’s grounding was ruled as “no try” the puff was gone from the Aussie lungs and they allowed England to run in three fairly soft tries through Jonathan Joseph, Jonny May and Danny Care to stretch the score from fairly close out to something of a hiding. The heavy rain that persisted throughout made for very slippery conditions and difficult handling resulting in a stop-start encounter. Watching my recording of the game it is very evident that the Wallabies conspired to lose the game, rather than England doing anything special to win it. Ill-discipline, poor handling, the bounce of the ball, silly errors and, finally, fatigue. Traditions are very important is Scotland. And they certainly do everything they can to uphold those traditions. Wearing skirts in the iciness of winter, with a howling gale blowing sleet and snow at the unmentionables is just one of those traditions. Eating a breakfast of oats porridge with a tot of whisky in it is another. Bagpipes, haggis, whisky are all good things, great traditions. I am not so sure about those deep-fried Mars Bars? Scotland will have to wait another two years before they get another chance to beat the All Blacks. On Saturday they continued to uphold 112 years of rugby tradition, by not beating the All Blacks. It could easily have gone the other way as a clearly disjointed and unfocussed All Blacks trundled around Murrayfield during yet another of these end-of-season torture sessions. It reminds us of having your compulsory cup of tea and a biscuit with Maiden Aunt Jane, an annual event that you cannot avoid. It is a fixture too many in a long, clogged season, but you have to go out there, and drink the tea. The first half belonged to Scotland, who came at the All Blacks with passion and commitment that gave them plenty of ball and territorial advantage, yet they could not use that possession to score. The All Blacks were hanging on, and when they do that, you had better be aware that they will be looking for the opportunity to fight back. They had a number of such opportunities in that first 40-minute period, but Kieran Read turned down the chances to kick at goal in favour of the more aggressive kick to the corner for an attacking lineout. Nothing came of his aggressive spirit. The scores were level at half-time 3-3. Waisake Naholo was perhaps lucky to stay on the field when he made contact with Stuart Hogg while he was still in the air. Somehow referee Matthew Carley decided that the contact was unavoidable, a decision that many referees would not have made. I thought he was lucky, I have seen many yellow cards produced for less positive contact! The world champions eventually outscored the Scots three tries to two. After a poor first half, the All Blacks made a better start in the second and five minutes into the half, Rieko Ioane threw an inch-perfect long pass to Codie Taylor, who crossed in the left-hand corner. Five minutes later, New Zealand were camped inside Scotland’s 22 again and Sonny Bill Williams delivered a perfectly-weighted grubber kick for that constant jack-in-the-box, Damian McKenzie, who gathered before dotting down. The All Blacks then had a lapse in discipline when Sam Cane was sent to the sin bin for a cynical foul. Scotland made their numerical advantage count as Jonny Gray scored to bring the scores closer again. The All Blacks third try again involved Damian McKenzie, as Sonny Bill Williams offloaded to him. He drew in the final defender, before passing to Beauden Barrett, who had hurried around to an outside support line and crossed for his side’s third try. The next bit of All Black silliness occurred when Wyatt Crockett was also yellow carded after taking Ali Price out at a ruck close to the try-line. That indiscretion gave the Scots a one-man numerical advantage for the final ten minutes of the game. It could have been a two-man advantage if the referee had chosen to card Kieran Read for what appeared to be a reactive slap-down of the ball while he was on the ground, but the referee was already playing advantage for an earlier offside and went with the penalty for that indiscretion. Most referees would not have been that kind to Mr Read’s deliberate and cynical act. I believe Read was lucky to stay on the field and, if advantage had been allowed, Scotland would surely have scored and possibly gone on to win the game playing against a 13-man All Black team for the final 9 minutes. It was a moment of very poor refereeing. Scotland did score three minutes before full-time when Hogg stabbed a grubber kick through for Tommy Seymour to gather, and then pass to Huw Jones, who crossed for a deserved try. Close Scotland, so close, but not close enough. Ireland had to work very hard for their 23-20 victory over Fiji on Saturday. Whilst this was essentially an Irish “B” team, after 14 changes to the side that beat South Africa a week earlier, they were still good enough to hold out the Fijians. I have not had the chance to watch the whole game, my recorder could not deal with two games simultaneously, so my comments are based on the broadcaster’s highlights package. A penalty by Ian Keatley, tries by Darren Sweetnam, Dave Kearney and Jack Conan, with Joey Carbery adding a conversion were enough to beat Fiji who scored two tries through Henry Senioli and Timoci Nagusa, with Ben Volavola kicking the remaining 10 points in an impressive display from men from the Pacific. It was a tip tackle on Cian Healy by Kini Murimurivalu on 73 minutes which finally gave the game to Ireland. The decision to play a second string very nearly backfired on Ireland. This was not really a great game to watch. There were simply too many errors and fruitless moments for it to be a great game, even as the lead changed hands eight times while the Pumas struggled to subdue the Azzurri, only taking control of the game in the last quarter. The Argentineans will be happy to have banked only their second win of the season, the first having been a mid-year win over Georgia. It was also their seventh consecutive win over the Italians. There was plenty of niggle in the game, with Sergio Parisse being especially combatitive against the country of his birth. It was mostly handbag swinging stuff without any serious contact, but it did break the game up a bit. There is not much more that I can say – once again I was forced to rely on a highlights package for my viewing of the game. Another Test that I was unable to watch live. What I did see of it during the half-time break in the Springbok/France encounter reminded me of some of the dourer club rugby matches I had the misfortune of watching. The “highlights” package confirmed that it was a bit of a messy trundling affair. Wales produced an under-whelming 13-6 victory over Georgia in a game nobody wants to watch again, or even talk about. Just the one try by Hallam Amos was the only moment of excitement I could find in the highlights package. It was dire rugby. ‘Nuff said. I suppose there must be positives to be taken from this game. South Africa managed a win in Europe and just their second away win under Allister Coetzee this year. They managed to put last week’s disaster behind them. They also came out with more intent and purpose than against the Irish. If Handre Pollard had taken his kicking boots to the stadium the victory margin could have been closer to a 29 – 17 score, perhaps 29 – 23 if the French had also kicked both the penalties they missed. South Africa also declined two kickable penalties, preferring to go for the corner kick and a lineout drive. Neither produced points and I would suggest that in Test Match rugby the corner kicks were the wrong option. I would add that several try scoring chances went a-begging due to wrong options and poor finishing. Especially among the outside backs. The early tackle of Malcolm Marx by Serin in the 57th minute also deprived the Springboks of what seemed a certain try. Nigel Owens said that it was a “possible try” but not necessarily a “probable try” hence his unwillingness to award what seemed to be a clear penalty try. I have no doubt that Marx, at speed and with his bulk, would have been unstoppable from 15 meters out with just some backline cover defenders racing across. A try at that moment in the game would have stretched South Africa’s lead and possibly taken the wind out of the French. The sense of relief in the broadcaster’s studio was evident after the game. Those paid pundits were hugely relieved at the win. Any win. But let’s not be blinded by the win, this is still a Springbok outfit far short of it’s best. But it was an improvement over the previous week. That is the real relief. Last year’s Springboks would have rolled over and presented their bellies for evisceration. We must also add that this is not a great French side. Yes, they gave the All Blacks a lot to think about a week ago, and they made the Springboks work very hard for this win. A better French side would have beaten both their southern visitors. The fatigue of a very long year was evident in last week’s All Black second half, and again this week as the Springboks became more and more sloppy late in the game. Players were just a yard short of pace and a moment or two short of the quick thinking and the sharp decision making one expects at the top level of the game. Although the Springboks made most of the running in the first half, scoring a good try through Dillyn Lleyds, and looked dangerous on a number of occasions, it was their chronic inability to deal with the high ball that again kept the French in the game. On the 27 minute mark the Springboks again wandered around under a Belleau kick, the French gathered the ball, took it wide and into the Springbok 22. The ruck ball went to Belleau who swept through the waving arms of Jesse Kriel to score under the posts. The line speed on defence was markedly better than in previous weeks. Pollard does not stand as deep as Jantjies in any phase of the game, and on the defence he leads his line up much quicker. Together with Venter at 12 this gave spine to the midfield defence, and in the inside channels, especially with the support of a loose trio that now consisted of three real loose forwards. Once again, the defence out wide must be questioned. Kriel, and the wings outside him, were again guilty of constantly creeping inwards on defence, exposing the wider channels. Coetzee at the back was caught out of position a couple of times. This is something the French were not good enough to exploit, but which Ireland ripped apart mercilessly. The Pillar & Post defending of Andries Coetzee and Courtnall Skosan in the 77th minute, when Serin crossed to score from close in, was an example of how not to do it! Coetzee went too wide too early, and left a meter of open air for Serin to dive through and bring France back into the game. These are simple basics that are not being executed correctly. Whilst the Springboks will head off to Italy feeling a whole lot better about themselves, and they do deserve some plaudits for resurrecting the year after their dire loss to Ireland, I am still concerned that this is a team playing without any real game plan and low on execution of the basic skills. The Springboks were average, France were just worse. South Africa won the game by 18 points to 17. Both teams scored 2 tries, France converting both and South Africa just one. South Africa goaled two penalties, while France goaled just one. France missed two penalty goals, leaving 6 points on the field. South Africa missed three penalties and a conversion, leaving 11 points out on the field. This equates to a 46% kick success rate for South Africa, and a 60% success rate for France. South Africa also declined two kickable penalties, preferring to go for the corner kick and attempt to score a try. Neither attempt converted into points. South Africa dominated possession by a mere 52% to 48%, and also dominated territory by 54% to 46%. France received one yellow card, playing with 14 men for 10 minutes. A staggering statistic is that the ball was in play for a most unusual 45 minutes. The general average for Tier One Test matches is currently 32 minutes, so credit must go to referee Nigel Owens for allowing the game to flow for 13 minutes more than usual. France carried the ball 165 times, making 884 meters in the process. That is 5,35 meters per carry. South Africa carried the ball 140 times, making 876 meters in the process, for an average of 6,26 meters per carry. France managed 6 linebreaks, South Africa made 4. France also produced 13 tackle breaks, South Africa 8. The French passed the ball 206 times, with 176 good passes. An 85% pass accuracy rate. The Springboks passed the ball 209 times, with 187 good passes. An 89,5% pass accuracy rate. France made 17 offloads, of which 9 were misdirected or lost in the offload. South Africa made 10 offloads, losing 2. South Africa took the ball into the ruck 114 times, and lost the ball on 4 occasions. A ruck success rate of 96,5%. France took the ball into the ruck 113 times, and lost the ball on 6 occasions. A ruck success rate of 94,7%. On the loose ball, France conceded a huge 17 turnovers, the Springboks conceded 9. South Africa set the maul 8 times, winning 7, while France set the maul just once and retained the ball in that maul. France won 4 defensive turnovers, South Africa 5. South Africa won the tackle turnover just once, but made 27 dominant tackles. France won the tackle turnover 3 times and made 22 dominant tackles. Both sides slipped tackles, South Africa slipped 28 while making 187, for a tackle completion rate of 88%. France slipped 20, while making 178 for a completion rate of 91%. South Africa kicked the ball 25 times gaining 830 meters from such kicks. France kicked the ball 16 times, but gained just 295 meters from those kicks. South Africa averaged a gain of 33 meters per kick, France averaged just 18 meters per kick. France made a massive 35 handling errors, South Africa made 21 such errors. South Africa set the lineout 12 times, made one bad throw and had one lineout stolen. France set the lineout 11 times, had two and throws and conceded one lineout stolen. The game saw just 6 scrums, well below the current Test match average of 10, with neither side conceding a scrum. South Africa had the put-in 4 times, the French just twice. I see two other pundits both gave Coetzee a 5/10 rating for being solid and “blunder free” with good positioning and good kicking. I am not sure who they were watching, but it was not the Andries Coetzee I was watching! I do not think he warrants selection as Springbok fullback. The man does not pass the ball, he simply takes it, tucks it under an arm and charges, swerving, stepping even, but invariably dying with the ball. I counted no less than 6 such carries, but there were probably more as I stopped counting later in the game! His kick receipts are dicey at best, some of his defending was poor, and his kicking remains woeful. One hack downfield had me grabbing my head, much to the amusement of those watching the game with me. I will give him a generous 2/10. Invisible. Not enough time to be rated.